Mrs. Cecilia Jaramillo has extensive experience in the telecommunications and ICT sector in Ecuador and Latin America. She speaks Spanish, English, French and Italian. She has held important positions in both the public and private sectors in telecommunication and ICT fields in Ecuador. 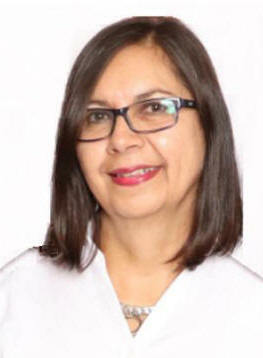 Mrs Cecilia Jaramillo is an Electronic Engineer, and holder of MSc in Computer Science and MBA from the National Polytechnic School of Ecuador. In teaching, she is the coordinator of a telecommunications master's degree for the Andean Community. She is a senior consultant of national and international companies in consultancy specializing in telecommunications and ICT, especially in regulatory issues, control and knowledge of the national and international market. Eng. Cecilia Contributed to the Administrative Division for Ecuador Infrastructure in InterConsult21. Browse Why your Business is best with us? Contact me as shown in the right side. An alternative Business to your Company. Eng. Cecilia Jaramillo * is InterConsult21's Business Partner in Quito - Ecuador. Eng. Cecilia is in charge to open opportunities for Ecuadorian Companies, Organizations, Consultants and Advisers to have Business with Companies from the Entire World. And for Companies from the entire World to do Business with Ecuadorian Companies, Organizations, Consultants and Advisers. Globalization Turns the World Visible. Share in the huge Projects and Opportunities around the World. - You can search directly about opportunities in our Business Search Engine above. - You can Join our Business Concept and Business Encyclopedia. - You can NOW Add your Company FREE in our Business Search Engine. You can browse Ecuador in InterConsurlt21. For more details about us browse InterConsult21's White Page. or other Social Contact and Forums for members only. The Closed Group of Strategic supply Chain. Add your Company FREE in our Business Search Engine.